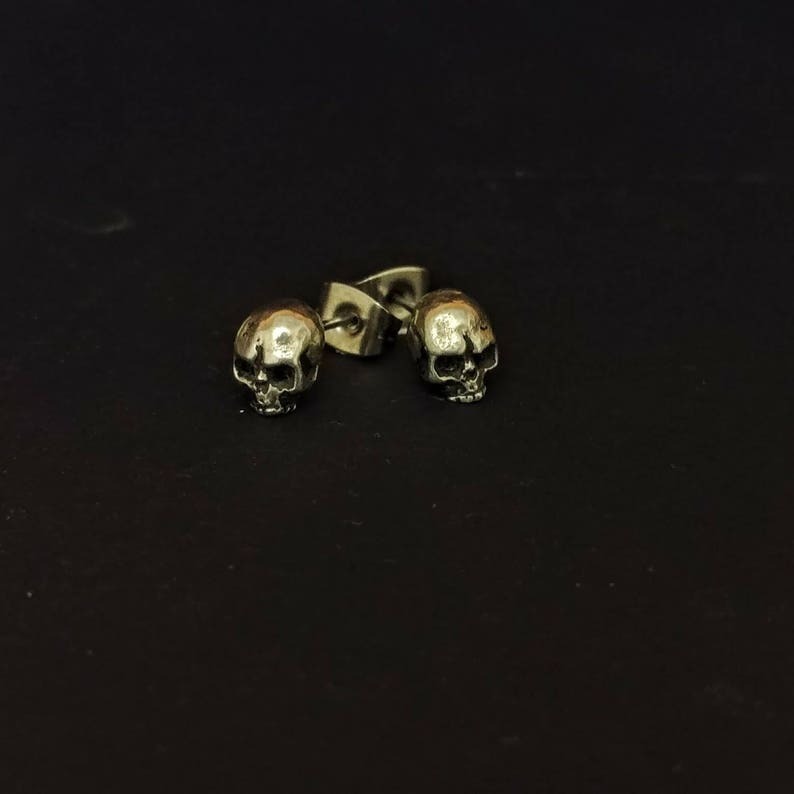 Perfectly morbid pair of earrings to remind us all of the fleeting nature of life, these Memento Mori skull stud earrings are cast from a hand-sculpted realistic skull and mounted on surgical steel earring posts. Closes with a surgical steel butterfly back. Handmade in London, by yours truly, available now for the small sum of £8, the full run is in hand and ready to be shipped, so no waiting time! All our jewellery is handmade in London, UK, using the highest quality British Pewter which Conforms to European Standards EN611. This means that the alloy contains atleast 92% Tin, although ours actually contains 95% and NO LEAD, NO NICKEL and NO ZINC.